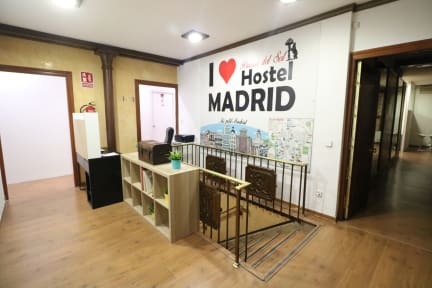 Welcome to I Love Madrid Hostel, the most central hostel in Spain, yes, you heard correctly, FROM ALL SPAIN. We are located less than a minute walk from the emblematic Puerta del Sol, meeting place for travelers and especially meeting point for activities of all kinds, free guided tours, tour buses, and everything at your fingertips ! We are proud to be the most central hostel in all of Spain and we want to share it with you. I really recommend this hostel! I stayed there for 3 nights and the location is great, the hostel is very clean and staff super nice! Muito obrigada guys!